Have you been feeling down recently? Are you feeling adrift in a world that doesn’t seem to make sense in spectacularly, sinisterly different ways compared to the usual ways so much that it confuses the crap out of you? You’re not alone. It’s something I’ve been struggling with, and something I think a lot of people are having to work through (if the people I know are anything to go by). It’s an adjustment, this world we’re in now. People seem depressingly willing to believe whatever dumb crap they want to feel secure. Surely, this is at least one of the reasons Donald Trump (@POSTUS) is still the President of the United States. It also accounts for that worn-through carpet of a soul Theresa May (the British Prime Minister) suckling at the degenerate, hateful teat of a party of maniacs to limp her government through to its next disaster (you know, more hateful than her own party). Racism made a huge out-in-the-open comeback in the last couple of years. People will make the argument that because it still gets cold in winter there’s no such thing as climate change. Fake news has become a thing and potentially ruined (or at least seriously undermined) political discourse for generations. Capitalism rules most Western countries and being a social media “influencer” (i.e. a corporate aspirational pimp) is an actual thing. It’s not as if any other system of governance is any better because, well, it was thought up and run by humans. And as human beings we’re just not built for getting things right. Compassion is still around, but it’s being bled slowly out of a polarised pig of a world where you’re either alt or woke and compromise can just go f$%@ itself. Every generation had its own “impending apocalypse” and made it through, but you could legitimately be concerned we’re rushing head first into the death rattle of humanity. What is one to do to counter this, to nurture a sense of hope? It’s important we don’t shut everything out because that only helps those who would treat the world like a rental car before leaving it in a worse state (sometimes much worse) than they found it. At the same time, we need to find things that sooth and support us and help connect us to a more understandable, welcoming world. You know, nice things. In amongst all the other things you could do (I don’t know, go outside…or pet an animal…or do something nice for someone else) there’s always pop culture. Be it films, or music, or losing yourself in a book or a television show or a hundred other things, it can be remarkably sustaining. For this writer, it’s recently been the work of a few people and the television shows they left us that have been helping the most. First, there’s Rod Serling who is probably the greatest writer in the medium and in his two biggest series: The Twilight Zone (1959-1964) and Night Gallery (1969-1973) – a map to understanding people, being better than you were and a promise that maybe someday, the worst of people will get what’s coming to them. 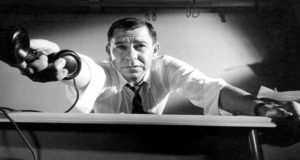 There’s Jack Webb and the sixties’ version of Dragnet (1967-1970), which endearingly tries to present a world in which the law works for the people and being conservative doesn’t automatically mean being contemptible. There are game shows like Match Game (1973-1979) and Family Feud (1976-1985) and Password Plus (1979-1982) from the seventies (on Amazon for those interested) that, whilst undeniably part of that capitalist gig, are sweet and occasionally salty and just fun. They are hosted by the adorable, genuine likes of Gene Rayburn, Mr. Betty White (Allen Ludden) and notorious kissing bandit Richard Dawson. There was real heart in these shows and hosts, too. Check out Family Feud host Dawson’s still touching final speech from when the series ended in 1985 (YouTube). 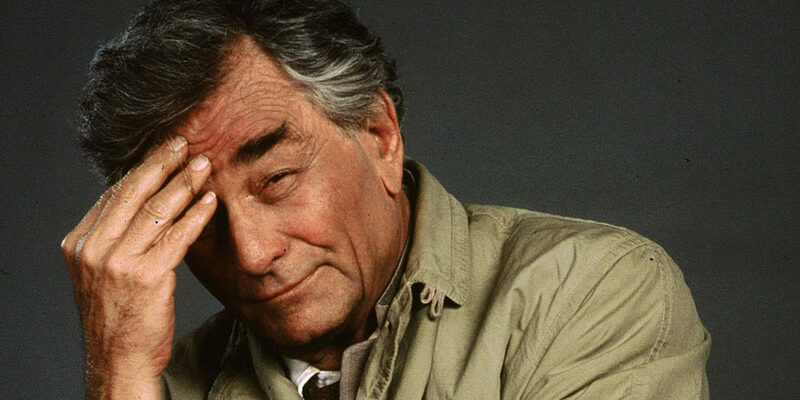 And then there’s Columbo (1971–1978, 1989–1998, 2002–2003) which in the very best way has aged and stayed timeless (that first run most of all). Most of that is thanks to its star Peter Falk, creators William Link and Richard Levison and the company of writers, crew and guest stars that went on to make it an all-time classic that lives on. It’s this series and this character I want to say a little more about and suggest it’s a show that is one of the most soothing for the soul, should you need a little something to help. It’s the subversive show you need right now. That’s right, subversive. 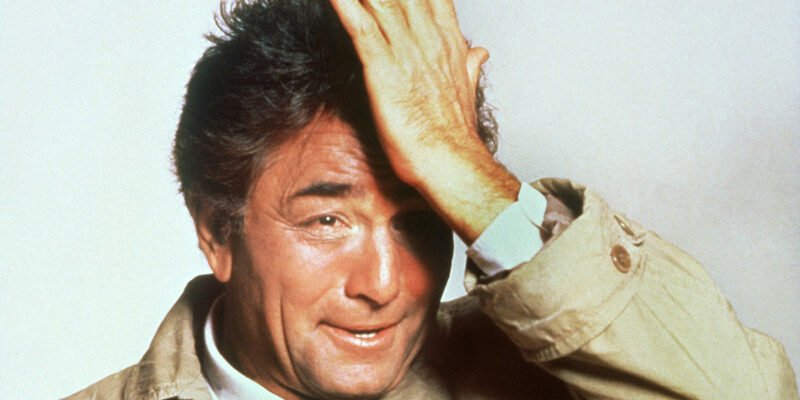 In fact, I’d go as far as Columbo being one of the most subversive mainstream shows ever broadcast in America. I know, Columbo shows up on various channels in the afternoon and it probably all seems a bit cosy. But let’s consider what the show was because the reality is quite different. Like many such shows, it uses murder as its central crime. And if you ever consider the sheer volume of American crime series that beamed homicide into people’s homes week after week, that’s not in itself unusual. But what is different is the way Columbo handled this. The large majority of Columbo’s guest-star killers are educated, almost always wealthy, self-absorbed sociopaths. They kill their victims to stop their hypocrisy being exposed, or to get money or power they think they’re entitled to, or because their egos have been bruised. These are rarely crimes of passion. No, they’re calculated, pre-meditated murder. And every one of these killers think they will get away with it, too, even when that scruffy homicide detective shows up. A joy of Columbo is how their desperation increases as that seemingly-nice-and-definitely-annoying lieutenant just doesn’t give up, until they are forced into making a mistake. Every week, Columbo presents an arrogant (and frequently rich) douche getting their comeuppance because they thought they were better and more deserving than everyone else, most of all their victim. Occasionally, the killer will elicit some sympathy but often your most common reaction to the part where Columbo exposes them is fist-pumping satisfaction. What’s subversive here is the killers are usually what would be presented as aspirational in a society built around capitalism and acquisition, and based on ideas like manifest destiny. The American dream is most often presented as people with less getting more (money, property, whatever else) – the good life. Columbo as a character meanwhile is scruffy, drives a beat-up car, is unfailingly polite and well-mannered and seems not the least bit interested in social mobility. He’s the type of schlub aspirational people stand on the backs of to get higher up. The lieutenant represents us, but with one significant addition. He’s a genius at solving murders, at spotting guilt in a person and at unravelling their crimes. If we imagine the number of crimes (not only murder) that people commit on their way to becoming rich, Columbo is the balance. The victims often move in similar circles to their killers, so he’s not a protector of the poor and downtrodden. No, he’s a reminder that those who lose their humanity in their thirst for more power, greater riches, and the right to do whatever they want without impunity should get what’s coming to them, too. Columbo is a clarion call to people to choose to be good and not be a selfish, murderous person because life isn’t giving you everything you want. You never know when your comeuppance will hit you from an unexpected direction. In relentlessly self-absorbed times, that is as subversive as it is welcome. 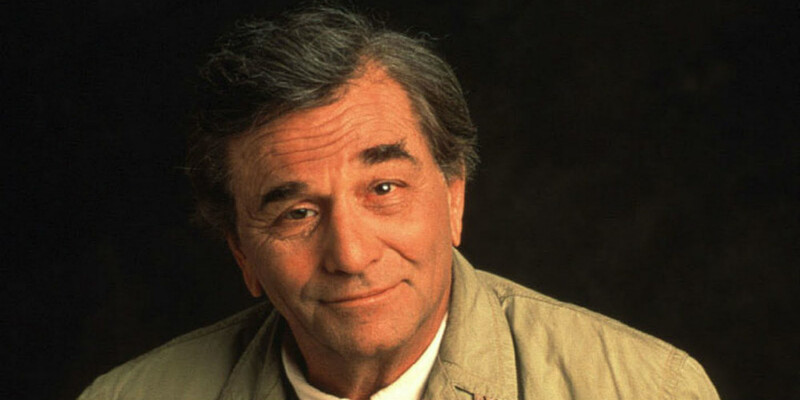 Peter Falk is pure joy as Columbo. Falk loved playing Columbo and it shows in every episode. Blessed with natural charisma, Falk makes the detective a joyous character. He’s alive with curiosity, interested in every aspect of the world around him, awake to people and their peculiarities and thrilled with the opportunity to learn. He’s human in the best way. Falk adds to this with a righteous fire as Columbo wears his subjects down, hunts down the flaws in their schemes and then brings the net down on them. Falk plays Columbo as someone who frequently likes his quarry. His most common reaction to their downfall is a kind of quietly sad disappointment that these often-brilliant people couldn’t be better than they were. We get little titbits of information about Columbo’s home life and interests throughout the episodes but we’re never sure how much of this is the lieutenant playing around with the killer of the week. But despite not really knowing anything about him for sure (even his first name) because it’s Peter Falk playing him, we feel we know Columbo. We can trust him, he’s a stand-up guy who can be relied upon never to let someone get away with ending another person’s life. It’s a multi-layered and career-defining performance in a career that, in the case of Falk, had no need of it. An Academy Award-nominated actor, Emmy winner and capable of serious drama, light comedy and everything in-between, Falk would be remembered even without Columbo. A TV movie-of-the-week or series regular was something that a genuine movie star would consider beneath them until recently. T.V. was the stepping-stone used to get into movies, ideally never to return. But Peter Falk put the same level of intelligence, commitment and heart into anything he did, and was confident enough to bounce between the two with ease. 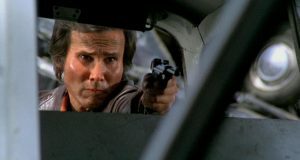 Even without the many other things that make Columbo special, it’d be worth every episode just for Falk’s performance. There’s a lot more that makes Columbo a singular series. Network television both then and now is a strange beast. It is a mix of the numbingly inane, the stupid, the insufferable, the competent, the good and the great. It’s a hard job to do right, appealing to large groups of people, because people are weird and unfathomable, but that’s what you need to do to survive if a network is to be a viable concern. On occasion, it will display a daring and creativity that is unexpected as with shows like Hannibal (2013-2015). It will broadcast woeful miscalculations, interesting misfires and innumerable so-so series. There’s also in amongst all this a high quota of – for various reasons – outstanding shows that become classics. Columbo is one of the very best of these outstanding series. It’s not a show that “still stands up,” but rather a show that was excellent at the time it was first broadcast and remains so. 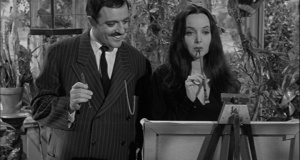 Other than Falk there are the various writers, directors and guest stars who help make it special. It’s a complete package where the performances, the “how’s-he-going-to-get-‘em” format and the opportunity to enjoy some of television’s best creatives (writers, directors, crew) never gets tired. And that almost unique alchemy which makes a show exceptional is achieved. 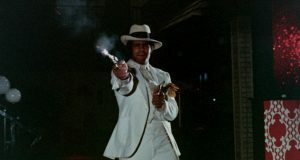 The later episodes where Columbo was revived mostly as an occasional special presentation (24 episodes from 1989-2003) are certainly not the equal of the two pilots and 43 episodes from 1968-1978 but if you just stop after that first decade of shows, it’s an outstanding run of maintained quality (though Falk is always worth it in those later shows). If you want something to get lost in that’s welcoming, intelligent, moral, passionate, inspiring and always entertains, it’s a series that does not let you down. If art is about connecting and communicating with other people, it’s also a near perfect example of how “retreating” from the world reminds you of what connecting to it means. The scruffy lieutenant means more to me now than he ever has, and I’m grateful for it. Whatever does the same for you, I hope you treasure it, too. My husband and I (and even our 23 yr old son) still catch Columbo when it’s on. This article is perfect! Nails the “why” as to the reason we still love it!